Professionalism, service, quality…. 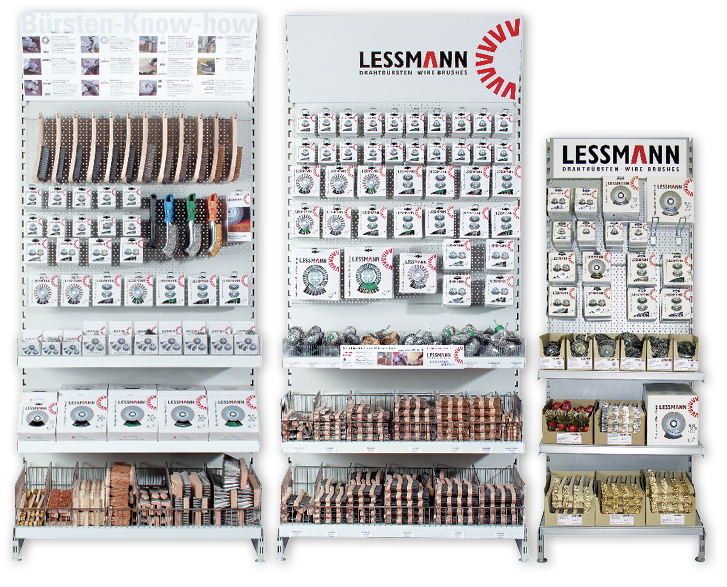 The Lessmann merchandising will make a good impression on your customers. They are not only good for your image but will also have a positive effect on promoting and increasing your brush sales. Take advantage of our experience and use this idea that will lead to success and increases sales. Appoint display boxes for profitable fast sellers instead of single packaging. Decide on the attractive blister packing, which we offer with the common brushes. Our packing clearly shows the most important technical data and safety information as well as the EAN codes. Please do not hesitate to contact us and we will arrange your individual programme. Increase your brush sales by effective presentation and placement of our products and packing!